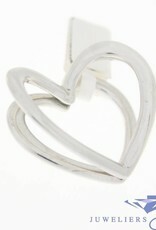 Gorgeous and very special large 14 carat white gold vintage pendant. 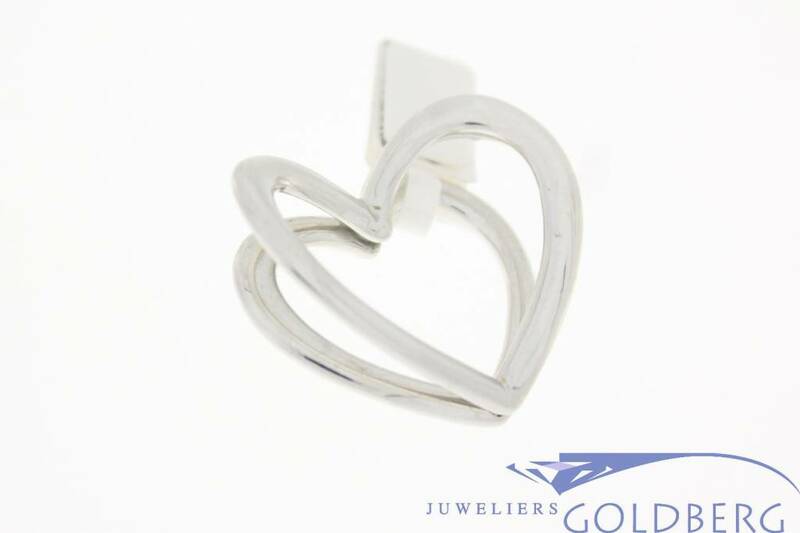 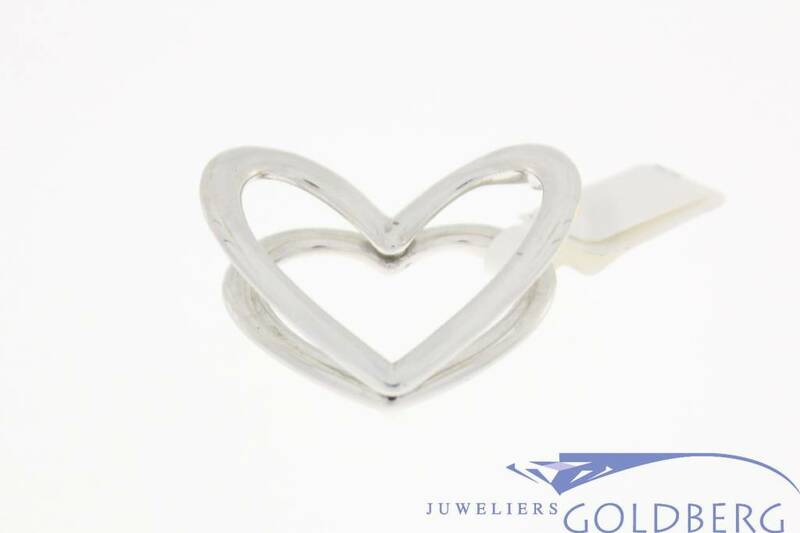 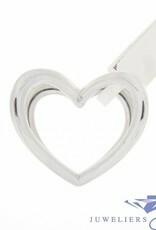 The pendant is in the form of a double heart: A slightly smaller flat heart, with a larger heart attached to it on two places. 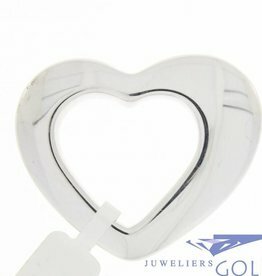 The (round) sides of the bigger heart ar facing up / front. 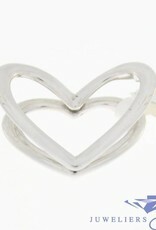 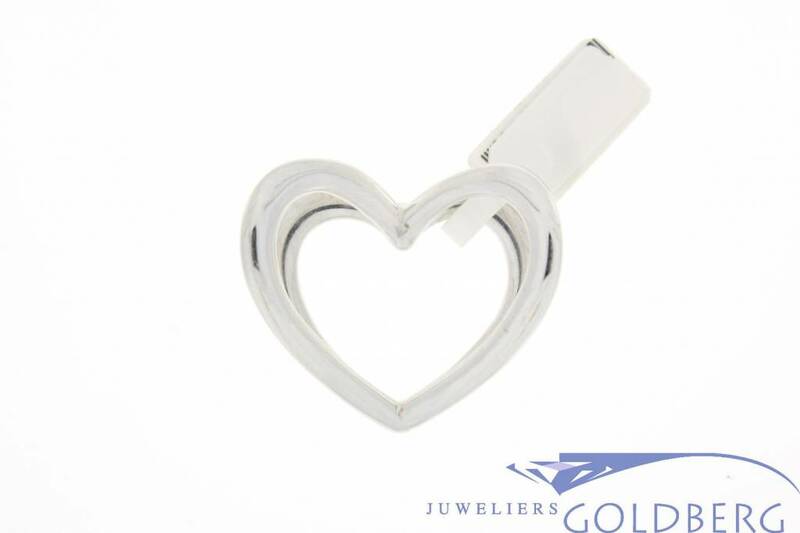 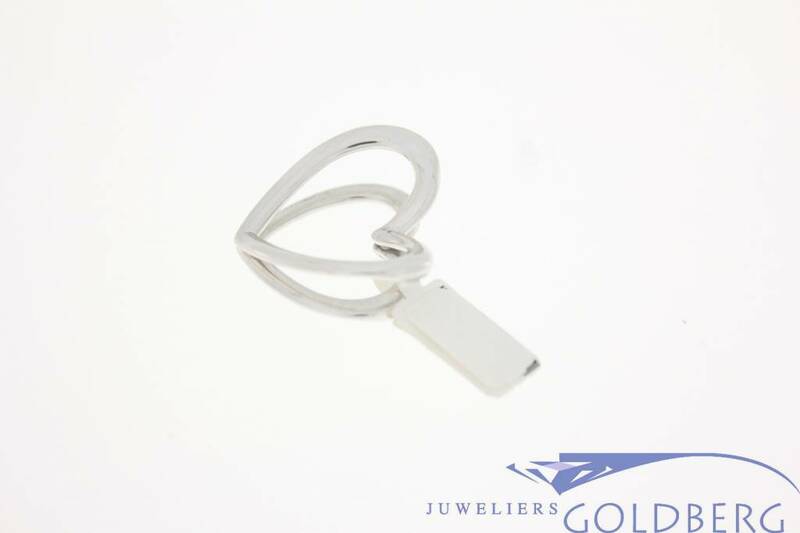 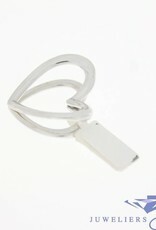 The dimensions of the pendant are 28.5 mm by 33 mm and the weight is 3.6 grams.